Who doesn’t love a good gyro? One of my favorite foods! This flavor packed burger does the trick without the gluten, fat and calories. Plus it’s loaded with goodness- spinach, garlic, herbs, and almond flour. 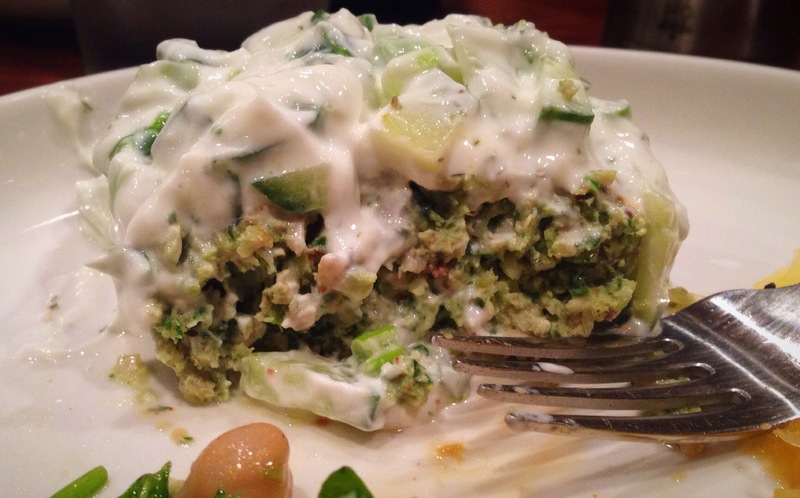 Top it with cucumber yogurt sauce and you have gyro perfection! 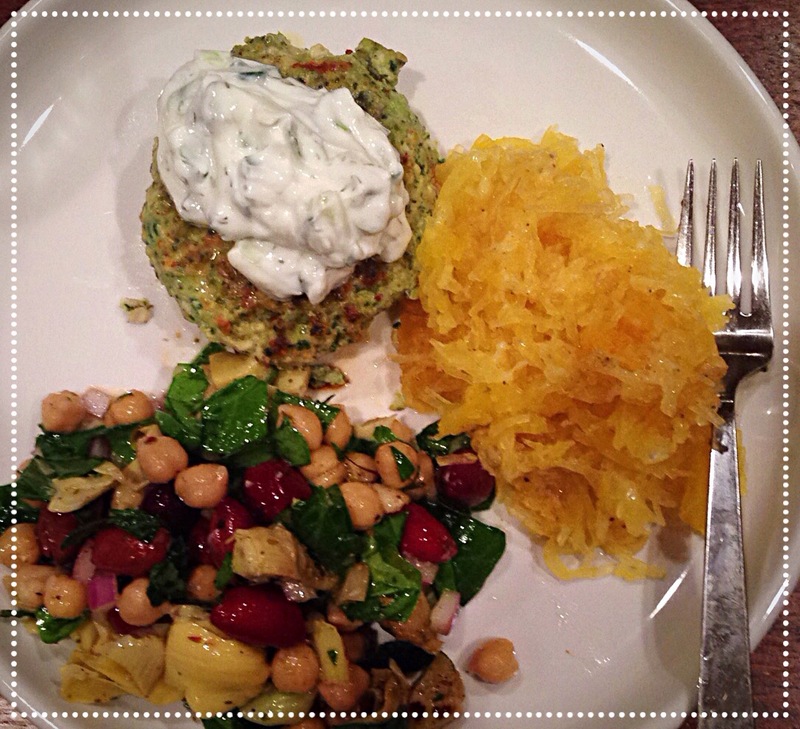 I served mine with a fabulous Mediterranean Salad a good friend introduced me to and Parmesan Spaghetti Squash. This burger recipe was inspired by Gwyneth Paltrow’s book It’s All Good. I’ve changed/ added some ingredients to make the recipe work better for me. Blitz the shallots, garlic, oregano, basil, spinach, lemon zest, salt, and pepper together in a food processor until finely chopped. Place mixture in a large bowl. Add the ground turkey, almond flour, and egg to the bowl and mix thoroughly with your hands and form into 6 burger patties. Heat a skillet or grill pan over medium-high heat. Brush the burgers with olive oil and cook until firm and have an internal temperature of 165 degrees- about 8 minutes per side. While the burgers cook make the sauce. Mix all ingredients together and serve a dollop on each burger. Enjoy!